Post your UI here! - Page 3 - Altered Time - your #1 World of Warcraft Mage resource! Nothing too crazy. Recently stopped using Elv, still need to fix damage font. What did you use now ? Frost rocks on cleave but Fire reigns on AoE. Where is Arcane ? Stuf for unitframes, shadowed unitframes for boss frames, gnosis, tellmewhen, and raven are the majority of it. So I'm not the only one to use both Raven and TMW. 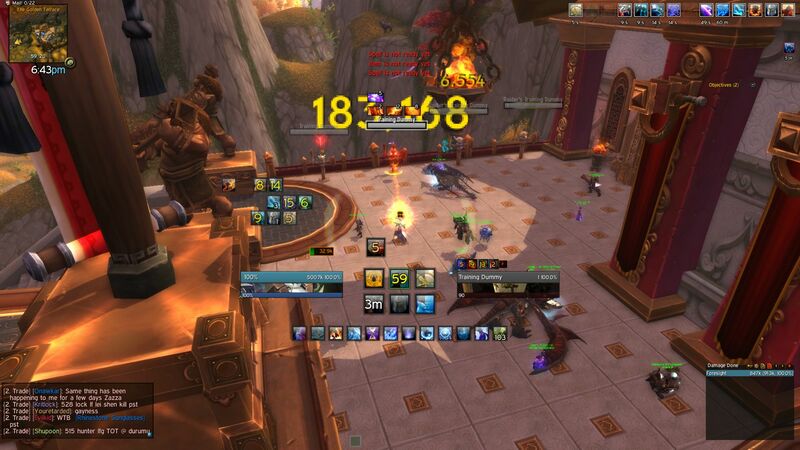 During combat I got two Skada windows showing Damage Done and Healing in the lower right corner, raid frames to the left above the chat frame, and DBM timer bars on the right side at the edge of the screen, moving to a larger column closer to the center when running out. 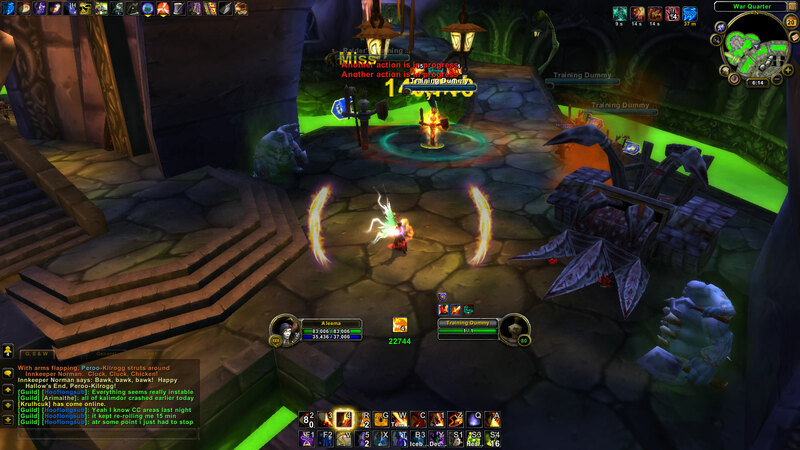 Boss unit frames are placed in descending order below the minimap, target buffs are shown along the top edge of the screen from the minimap (mirrored to own buffs). 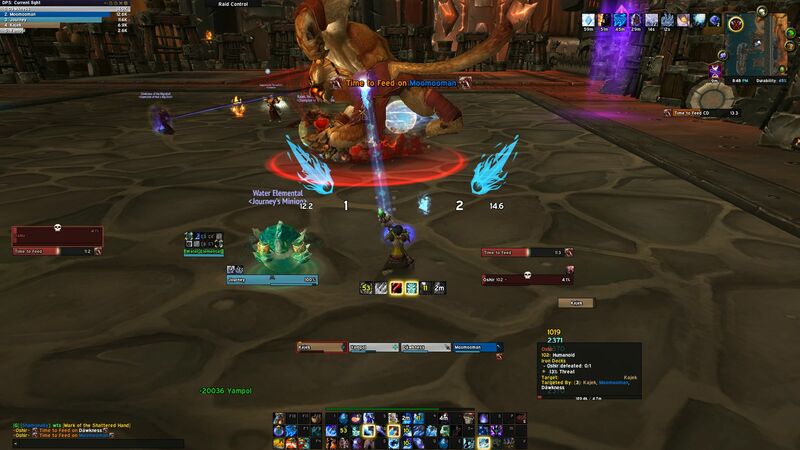 Some of the WeakAuras include sound queues as well for enhanced notification (Invocation and Living Bomb/Nether Tempest). The UI can also be seen in action on my Twitch stream. 1. Disregard keybinds, I play with a razer nostromo and a razer naga so the numbering are a bit odd. But the layout fits the fingerplacement. (1 would equal Q or button "02" on the nostromo) middle bar is the naga. 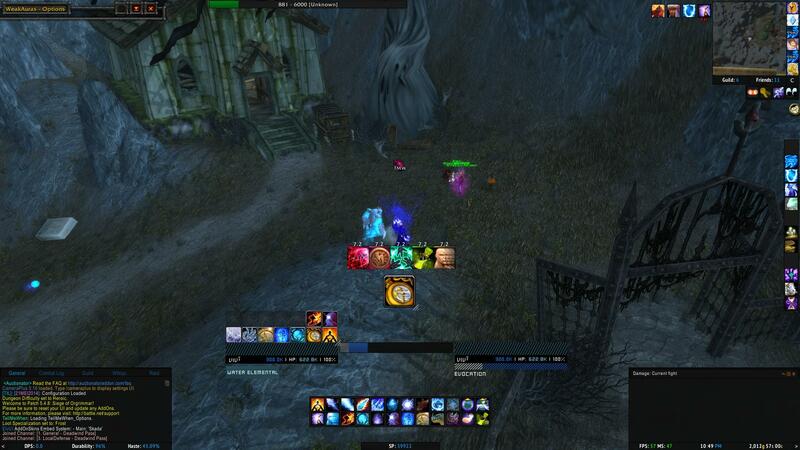 I also have more keybinds, so when I hit control, the right 4x3 bar change into another bar with buffs and mount. 2. please take no note of numbers, i just went over to the dummy and hit my icyveins macro and frostbolted a few times to show some combat stuff. Last edited by modernist on Sun Oct 12, 2014 10:59 am, edited 1 time in total. A little old but pretty much what I'm still using. I try to keep it simple and avoid as much clutter as I can. ElvUI base. Castbars mouseover only when out of combat. Tellmewhen skinned with Masque: Apathy. See it in action @ http://www.twitch.tv/vattitv" target="_blank past broadcasts. 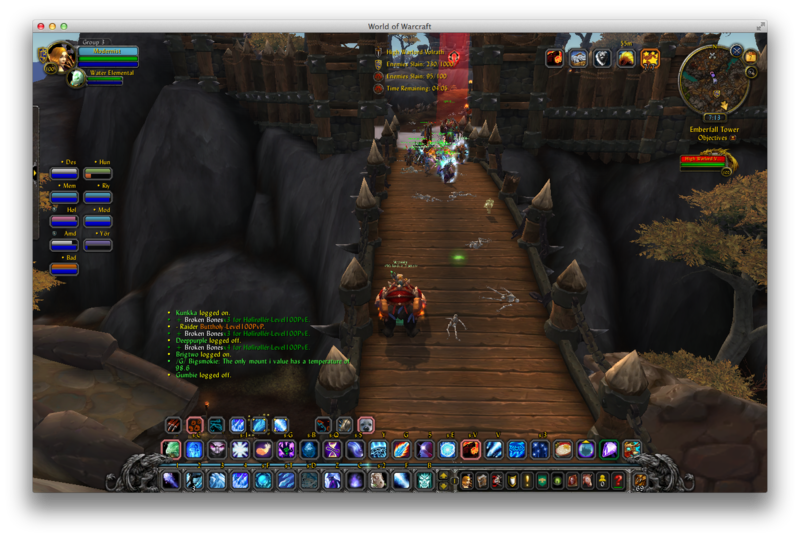 No download as of this time but feel free to ask specific settings in ElvUI. 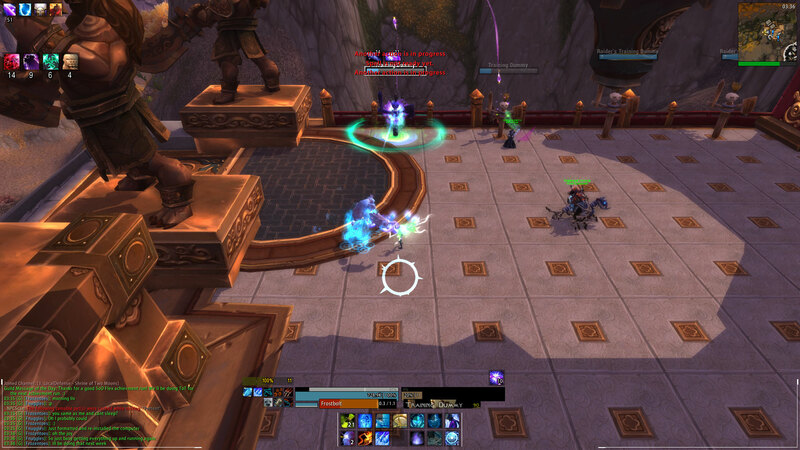 Got many weak auras overlapping. Very hard to see. As I see it encounterspecific abilities is a huge part of the UI therefor worth including a picture. Before patch I used threatplates which haven't worked very well since patch and haven't looke into it yet. Nameplates lost a lot of it's value when multi-doting was removed. But it's a priority to find a replacement. 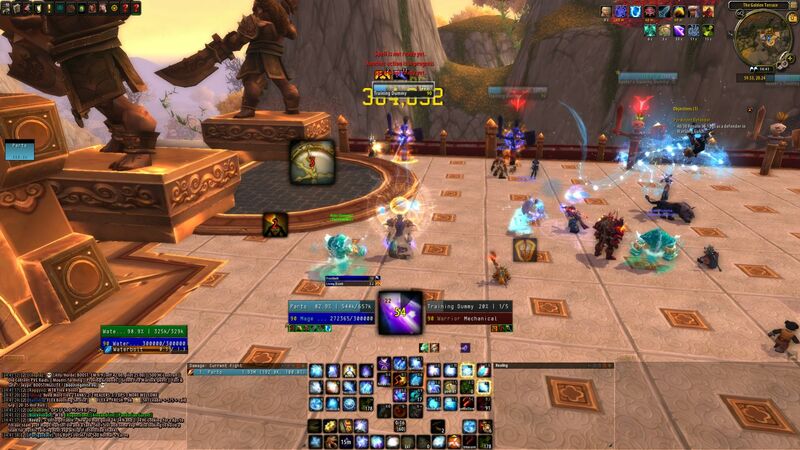 Raid frames go at the bottom right, skada below the action bar at the top left, in the middle is whatever weak auras i need for the class im playing; atm it ranges from 3-4 on my mage to 8 on my monk, i keep two rows of 4. I'm using grid for my raid frames atm but i'm not really satisfied with its looks for some reason, i might switch to the default ones. I've made some modifications to it in the last couple days since this picture. 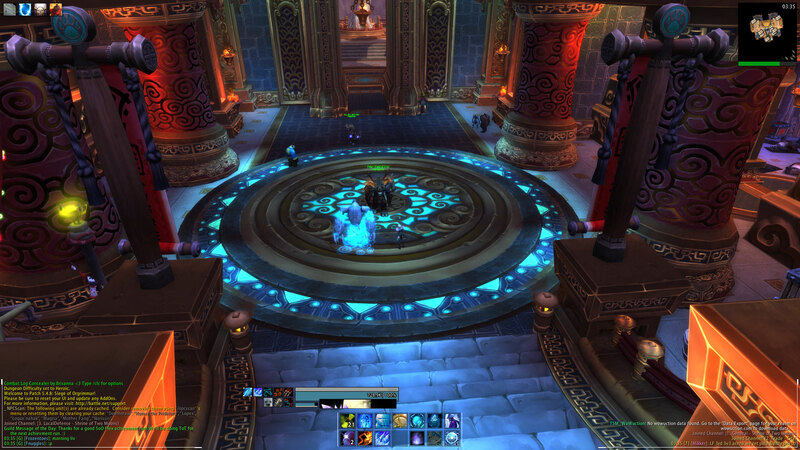 Quartz has replaced the cast bar, and I set up some weakauras for Arcane (mainly relating to burn phases and mana usage). I also scooted the pet ability bar like 1/2 a mm to the left to get rid of that annoying overlap. All in all I like it, although I'm contemplating ditching my buff mod, since it takes up so much space for no real reason other than it looks pretty. I've just used it for so long, it's weird seeing buffs in any other way. 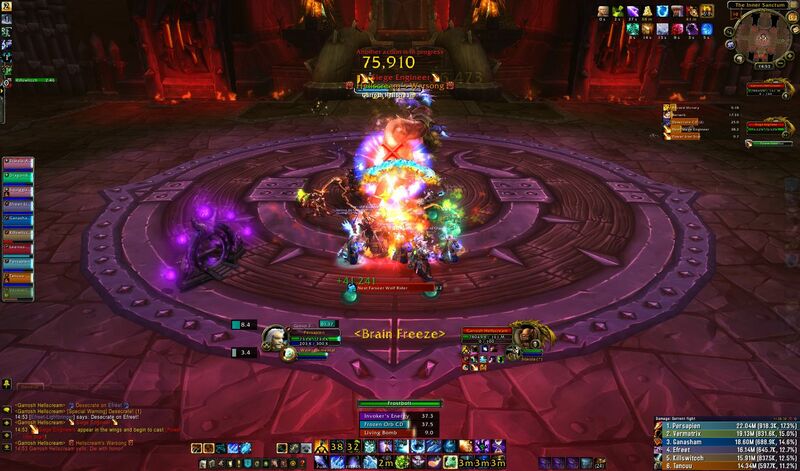 Quest objectives are hidden in raids, but they appear on the left hand side where the raid frames are. 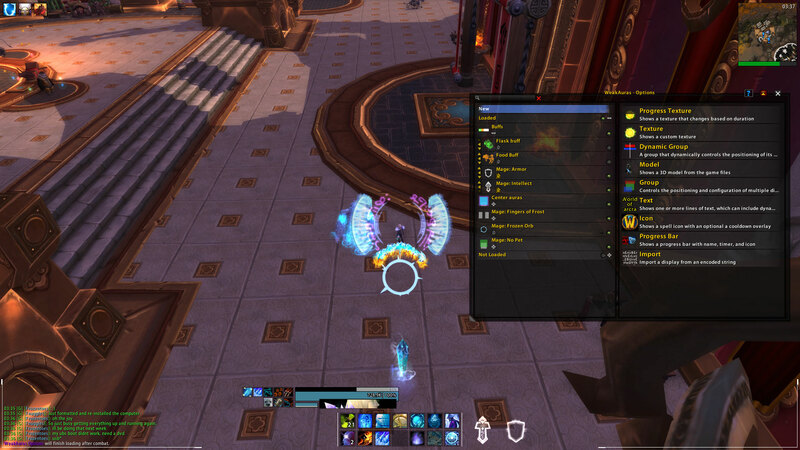 Party frames are disabled in raids, but they appear on the bottom left right above the chat box. All my MageNugget frames run along the top of he screen (spellsteal/poly/bomb timer). Focus and Target of Focus are in the space right below my unit frame, to the left of the ability bars. for frost. left graphic is tracking FoF, right side tracks BF. 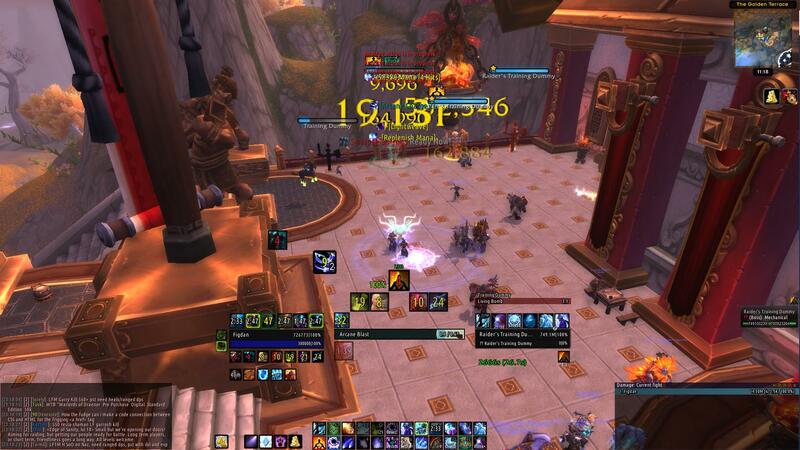 When I have the talents, frost bomb timer goes above my cds, RoP timer goes below.